In the world of fast-advanced technologies, there is a group of very powerful people who create a device or a tool that allows them to predict crime. But the thing is, they have no desire to inform the police or FBI about it or to stop the crime from the happening, but rather, use it as a game. All they need is to get the player, bet on it and wait until the game’s over. Then they will come to know if the player was able to prevent the game or got killed while trying… The new series created by John Fox and John Rogers shows us a fascinating world where the life of human beings is laid on cards and some people decide whether he will live or die. But when you get a player like Alex Kane (Philip Winchester), there is nothing to worry about, as he will certainly make sure not to let anyone get killed in the game he becomes a part of. The Player begins with Mr. Johnson (Wesley Snipes) who stands in a remote place looking at the killed man. But a second later, he makes a phone call asking, who’s next? This is when we’re introduced to Alex Kane, a former intelligence officer who works as a security expert in Las Vegas. But soon his life will turn upside down, when his former wife, Ginny Lee (Daisy Betts) with whom he was about to revive his relationship gets killed. Shortly after he is arrested for the murder, and the police does not believe that he was not the one who killed her. As the story develops with loaded action scenes, Alex Kane finds out from mysterious Mr. Johnson that he was part of a big game in which he still plays an important part. He offers him to become a player and explains the rules that quite shocks our hero. He agrees to participate in the first task just to prevent the killing of a kidnapped girl, however, soon after seeing the body of his wife, he makes the decision to become a full time player. Even though Alex Kane realizes that he is just a bet in a big game, he has his own hidden agenda he hopes to unfold. 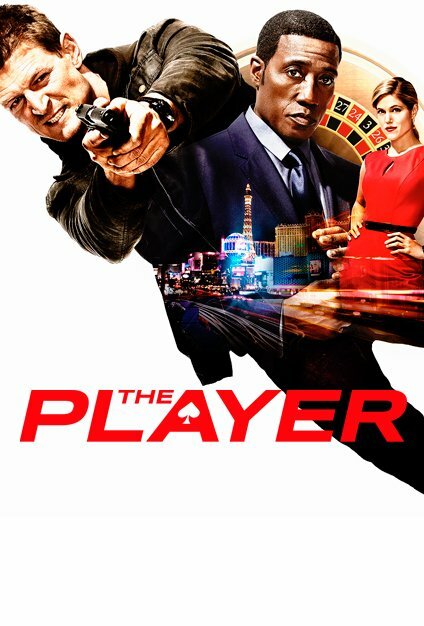 NBC’s The Player has an interesting concept and intriguing plot, however, I highly doubt it will live that long. NBC goes only with high rating shows, and it is hard to tell how far The Player will do in the first four episodes. Even though it’s quite entertaining and somewhat educational, the show in terms of technology has many things to offer to the viewer. But as it usually happens with TV series, it’s better not to keep our hope high and enjoy as long as it’s aired until NBC decides otherwise. Until that moment, I am certainly going to give another chance to this show. After all, wasn’t it made for us to watch?